Designed with Mothers Day in mind treat your lovely mum to a beautiful Viola silk floral arrangement designed by the Rhubarb & Roses Floral Design Team. Comes beautifully gift wrapped in one of our signature black box packaging. 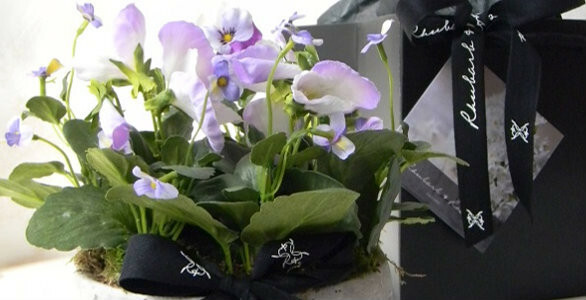 Can be delivered in time for Mothers Day for a special price of £30 Including all gift wrap and P&P. All orders must be completed by 4:30pm Wednesday 11th if you would like this item posted in time for March 15th.